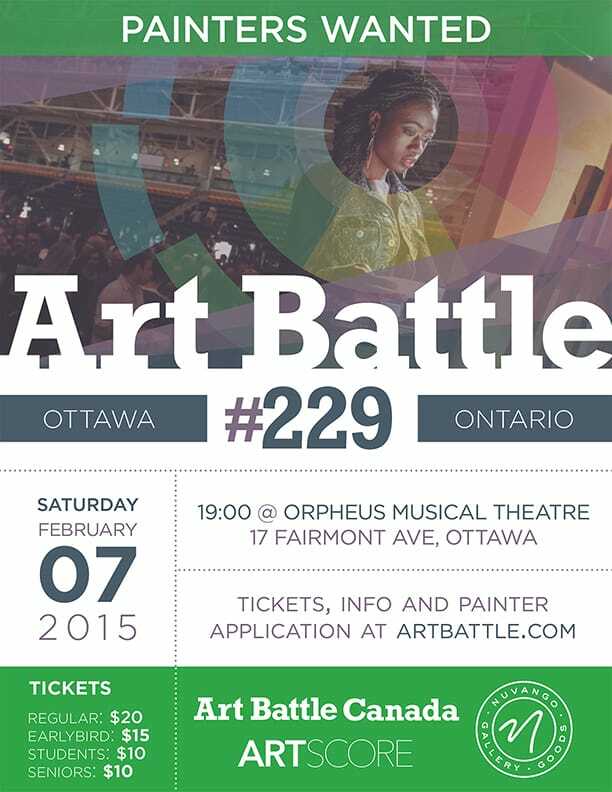 Art Battle Ottawa visits Orpheus Musical Theatre on Saturday February 7th! Join us for a fun night of live competitive painting as 12 very talented Ottawa artists take their canvases from blank to beautiful in just 20 minutes. The winner will receive a cash prize, title of Art Battle Champion and a spot in the Ottawa Finals this coming June.